Dena Totaro is an intuitive healer who has an abundant passion for mind, body and spirit connections and loves to be a catalyst for others and their transformations. Her devotion to helping others stems from healing her own body nearly 8 years ago. By using food as medicine and incorporating yoga, breath-work, meditation and energy healing into her life, she discovered (through her own transformation) the importance and value of holistic Health and Wellness. Dena has the unique ability to combine her various academic achievements and training experiences (Psychology degree, Reiki Master certification and registered Yoga instructor with Yoga Alliance RYT-200) with natural gifts and abilities that are illustrated through her practice of crystal healing, mediumship, Meditation and Coaching. 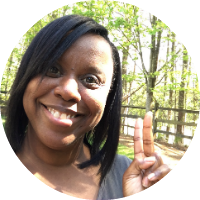 In addition to Dena being a certified Energy Healer and Wellness Coach, she stays active teaching Yoga, Meditation and healthy living classes and workshops. Offered: Mondays from 3:00-5:00pm & Wednesdays from 1:00-7:00pm, by appointment only. May also be available by appointment Monday through Saturday.